Touchstone Foundation for the Arts (TFA) is a nonprofit tax-exempt 501(c)(3) organization created by the artists of Touchstone Gallery in order to increase their engagement with the community around them. Touchstone Gallery is an artist-owned gallery founded over 40 years ago, located at 901 New York Ave NW on the border of Shaw, Mt. Vernon Square and Penn Quarter area of downtown DC. The Foundation creates opportunities for young and emerging artists in our area to develop professionally and to exhibit at an established gallery and offers other programs to engage the wider community and non-traditional artists. TFA’s inaugural project was the creation of the TFA Fellowship for Emerging Artists. 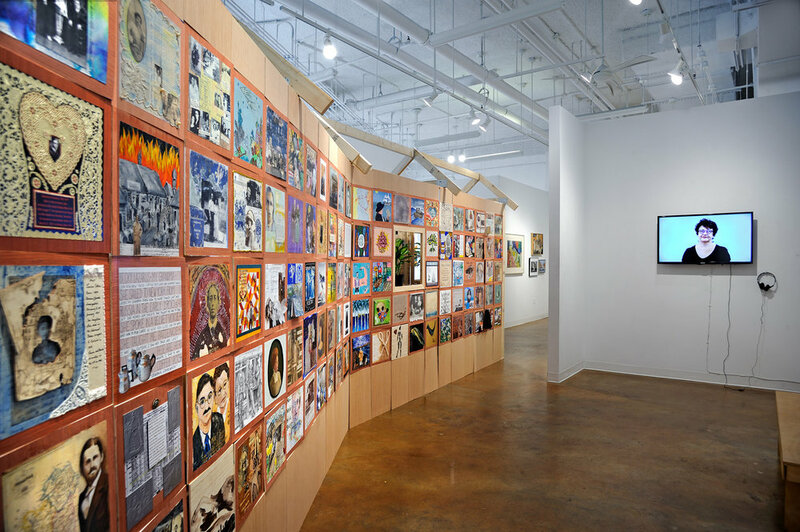 The fellowship is open to Washington area artists and is designed to help emerging artists to develop professionally through a two-year membership in the Touchstone Gallery, mentoring by established artists, participation in gallery group shows, and a culminating solo show at the end of the two year fellowship. The selection process for the TFA Fellowship for Emerging Artists will begins in the winter of each year with the new fellow or fellows named in the spring. The programs of TFA are made possible by the generosity of our friends and supporters. Your contribution is tax deductible to the fullest extent allowable by law. One hundred percent of your contribution supports the work of Touchstone Foundation for the Arts.